The Patient Protection and Affordable Care Act may have provided health care insurance to an estimated 20 million Americans who lacked coverage, but it has not eased the demand on the nation’s emergency departments. 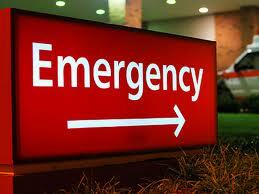 In fact, since the law’s passage, reliance upon the nation’s emergency rooms for non-emergency care has increased. That’s the finding of a study published online in the American Journal of Emergency Medicine by a second-year medical student at the Wayne State University School of Medicine and his colleagues. In “Access to care issues and the role of EDs in the wake of the Affordable Care Act,” lead author Alexander Janke notes that Americans who received public insurance under the Affordable Care Act now use the emergency room more frequently than before they were insured. The overwhelming reason: Many urban and rural areas of the nation lack primary health care providers, so the emergency department becomes the only source of health care. Do you know what your health insurance plan covers? Give us a call. We can help.